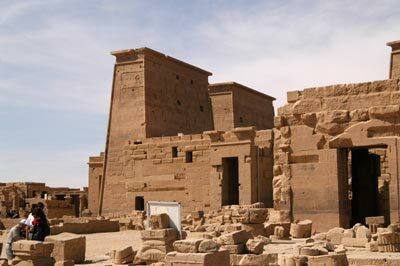 Adding to the dozen or so temples on the island is a small Temple to Hathor which is east of the main temple. 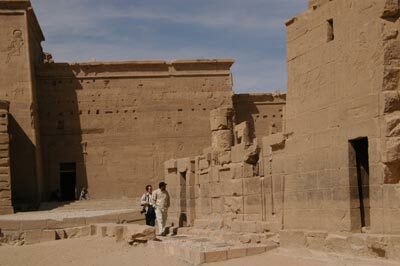 The temple is almost completely ruined, leaving only two columns with hathor-heads for capitals and a a pile of rubble, nothing is left. There is a relief of musicians, including the fertility god Bes. .